Hi! Here I am in front of the John Lennon Peace Wall in Prague. Inner Peace and Inner Feng Shui help to bring more peace on Earth. 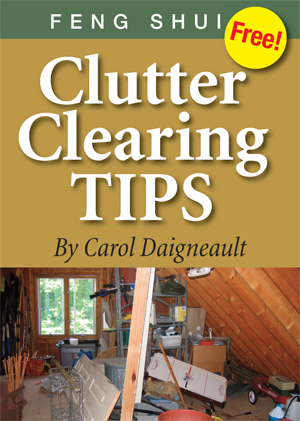 Hi, I’m Carol Daigneault, a Certified Essential Feng Shui® Practitioner since 2001. I have always enjoyed making things pretty – decorating, organizing, reinventing. Before discovering Feng Shui, I painted my bedroom a new color every year and moved the furniture each month because my surroundings didn’t feel quite right. Feng Shui changed all of that. It gave me a practical, understandable system to make my home what I knew it could be – beautiful, inspirational and a key member of my personal support team. “I’ve had my Feng Shui done” is a common claim of clients and homeowners who perceive Feng Shui as a one-time exercise that will put their life in order. But, during my many years of study and practice, Feng Shui has become a part of my everyday awareness and worldview. Utilizing Feng Shui is more like getting a haircut or even brushing my teeth. It is my go to for problem solving, moving toward more balance, and setting intentions. It is something for every day. That is the mantra of my blog. The “big” house we sold, clearing out before the move and The Cove during renovations. The Oregon Mid Century, The Cove before the remodel and our eldest son and his family back in Maine. It is my sincere knowing that I was able to achieve these goals and handle all of this excitement, reorganization and change because of my foundation in Feng Shui principles. Feng Shui is not just moving the couch or painting the front door red. It is an everyday understanding of the presence of energy in ourselves as well as our environment and using this understanding to balance and enhance our lives. Now back to my story about painting the walls way too often. 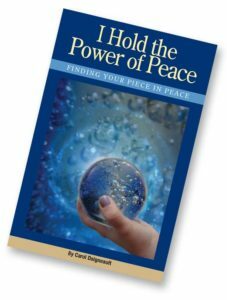 During this time I also discovered the world of personal empowerment and intuitive development. This was back in the days before the internet (ah! – when?) and I read every book I could find plus was fortunate enough to take one class, Applied Metaphysics, which lead to an intuitive development study group. The “Group” started in 1995 and four of us still meet regularly to meditate and do energy work together. This group experience lets me know, beyond any doubt, that the whole is greater than the sum of its parts. 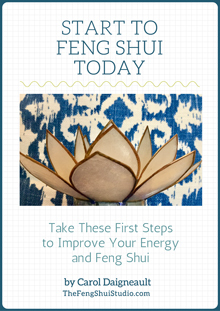 An essential component of my vision for this blog is to build a community of folks who, through their Feng Shui knowledge and practice, create a strong level of vital Ch’i energy which contributes to improving the energy of our planet. I hadn’t heard of Feng Shui “back then” and was torn between my two strong interests – personal empowerment and artistic endeavors. My visit to a bookstore during a vacation finally revealed the answer when I spotted The Western Guide to Feng Shui by Terah Kathryn Collins. It wasn’t long before I enrolled in her certification program at The Western School of Feng Shui and then began practicing in 2001. My clients’ needs have run the gamut from individuals’ residences and private offices to alternative and conventional medical settings, various small businesses and the Feng Shui redecoration of 17 branches of a National Bank. Three of the seventeen bank offices I designed with Feng Shui. Some of my residential work. Each client had their own needs, style and energy as did each building we encountered. It was exciting and fulfilling work and I’m very grateful to all of my clients for allowing me to participate in their lives. As I mentioned above, I’m what you call a “Snowbird” now and my life is very different. Here is the holiday card that my husband, Dan, and I sent in 2014 right before he retired. Our sons lived in New Zealand and Oregon at the time, hence that reference. Migrating to our home in Florida for part of the year then back up North for the rest has led me to another change. My Feng Shui practice is shifting out of people’s living rooms and offices to include you via the web. The Feng Shui Studio is born! I’ll share my own personal Feng Shui experiences and process as well as explain Feng Shui fundamentals. All of this will be done with you in mind, so that you can learn from my application of the principles and, most importantly, have the basic information you need to incorporate this rich practice into your own life. I pledge to open your eyes, answer your questions and share the tools and insights that Feng Shui provides. Feng Shui has supported me in so many ways. I know it can help you lead a life of your dreams. If you are interested in beautiful spaces, harmony and balance, personal peace and happiness or making the world a better place, so am I! Please join me for this Feng Shui Adventure! Let’s get started. I’m excited to see what we can do together.